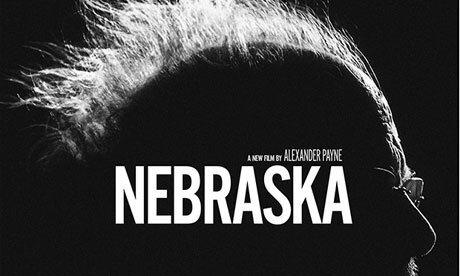 Aging, booze-addled, and confused Montana resident Woody Grant (Bruce Dern) repeatedly tries to make his way on foot to Lincoln, Nebraska in order to claim a $1 million Mega Sweepstakes marketing prize. To keep him from harm, Woody’s son David (Will Forte) drives the old man there, stopping for a visit in his father’s hometown of Hawthorne, Nebraska to break up the journey. Woody’s old stomping ground is a boundless rural plain, punctuated by barns, pick up trucks, rusting farm equipment, and churches. Shortly after arriving, Woody and David are joined by Woody’s wife Kate (June Squibb) and their other son Ross (Bob Odenkirk) for a reunion with Woody’s family. Before long, ancient grudges rise to the surface, prompted by the prospect of money. Over the course of the film, David begins to learn more about his mom and dad, and, therefore, himself. And we, the audience, are prompted to contemplate the nature of family, our origins, our dynamics, our choices, and our movements. Director Alexander Payne has already demonstrated that he is a talented filmmaker, as evidenced by his films Election, Sideways, and About Schmidt. Like these other films, this film is heavily nuanced, subtly comedic, and incredibly observant. The performances are affecting, the cinematography is beautiful (shot in black & white), and the screenplay is seemingly effortless.